WITH ANY PIECE of technology, there will always be concerns about privacy and security. This isn’t that surprising, especially considering what happened in recent years. Revelations about agencies using mass surveillance and information revealed by whistleblowers like Edward Snowden has put such concerns into greater focus, especially since we carry devices with us everywhere we go. You only need to look at the furore surrounding Facebook Messenger back in 2014 as one example. One of the claims was that by installing it, you allowed it to use the camera anytime without your permission. This wasn’t the case, but how permissions were worded certainly didn’t help matters. And recent remarks from FBI director James Comey – who told an audience he put a piece of tape over his laptop’s webcam ”because I saw somebody smarter than I am had a piece of tape over their camera” – have only fueled such concerns. That’s not to say such concerns are without merit – there are numerous examples of researchers finding flaws in wifi-connected cameras and MacBooks webcams to name just two - but whether you’re being spied on really depends on who you are and whether you feel someone has a good enough reason to do so. Eamon Noonan, the director of cybersecurity and forensics company Digicore says while there are various ways for someone to take control of your device – through spyware sent through spam mails or someone tricking you into handing over control (claiming to be tech support is one example) – the best way to stay safe is to be vigilant. If you’re really concerned about someone spying on you through your webcam, he offers a simple solution: turn it off. Most webcams allow you to turn it off and that should be the first thing you should do if you feel something is amiss. “If you don’t need it, don’t turn it on,” he said. “And if you have it on and you think [something is wrong], there’s always a simple way of turning it off [in the system manual]“. Realistically, and I always ask this question, in the grand scheme of things, how important are you? How important is the information that you’re going to provide or the photo you’re going to provide. If you’re not that important, then you don’t need to worry… If somebody else has a reason to turn it on, then you’ll find the reason is far deeper like a jilted lover or something. This approach is something that Fergal Crehan, a barrister and managing director of privacy consultants The Hit Team says as well. While the tech is there to make spying possible, the individual has to weigh up whether they are a target but even then, some caution is recommended. “The first thing people need to know is that everyone is a potential target, and once you know that, then I think everybody naturally becomes more cautious,” he said. “You think ‘well, I’m probably not an actual target’ but even knowing you’re not a potential target is enough to make people think differently. But one of the things is it can happen to people in the blink of an eye. You think of the phone hacking scandals, Milly Dowler was a teenage girl who wasn’t really going to be worried about privacy and yet, she suddenly became a person of interest through no fault of her own. Likewise… lawyers, there could be colleagues of mine representing certain clients who would, through no fault of their own and simply by doing their jobs, become a target. As well as buying a cheap shutter sticker or cover for your laptop, Crehan recommends going into permission settings on iPhone and deny apps access to your camera (you can do the same on the latest version of Android although older versions require you to root your device). But if you really wanted to go the extra mile, he recommends privacy apps like Threema or even buy a privacy-focused device like the Blackphone. That would be more applicable to those regularly dealing with important information and feel the chances of being targeted is high. But ultimately, the general advice is to just be vigilant and to be careful about what you do. And if something does happen to your camera, the reason might not necessarily be down to someone gaining access. “Sometimes the camera might turn on in an update process, it might not necessarily have triggered yourself, but it may go on,” says Noonan. “But if it goes on and stays on for an extended period of time, more than a minute, then I would suggest you do something about it”. 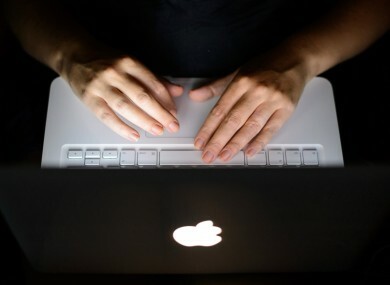 Turn off the computer and if you suspect it’s being used [to spy on you], bring it to someone who can investigate, who can look at the logs and see whether it’s been accessed or not. Email “What are the chances someone is spying on you through your laptop camera?”. Feedback on “What are the chances someone is spying on you through your laptop camera?”.